Kristen joined the Campus Estates team in Summer of 2016. However she has been in the veterinary industry since 2005. From Toronto, she moved to Guelph to attend the University and pursue a Bachelor’s of Science in Zoology. 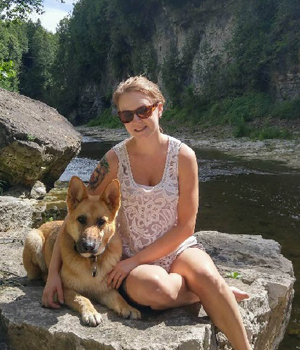 When not working or studying, her spare time is spend outdoors with her four-legged best friend, Leila the German Shepherd.